If you sue for discrimination like Ellen Pao, you’d better have the goods. Or be like this Uber driver with a smoking hot video. When the verdict in the Ellen Pao discrimination case came down last Friday, I didn’t have a good feeling. Individual cases of discrimination are so hard to prove. Pao had some evidence that there was an old boy’s club, but the good folks at Kleiner Perkins had the typical defense. KP suggested Pao wasn’t an exemplary worker and went after her record. Forget her Princeton and Harvard degrees. Forget her strong mentorship with senior partner John Doerr. The firm is the firm, and when you challenge the firm, you will be destroyed. So, of course, the KP defense would be very old school–what all the management consultants tell their clients to do. Just say Pao wasn’t good enough. That was good enough because, more to the point, her evidence wasn’t good enough. Pao had no pow. And as they say in Hawaii, from the start she was pau. Whenever I thought I might have a discrimination claim, I was told by my attorneys that to prove discrimination, you need evidence that is beyond egregious. You need to show your cuts and bruises. And if you can’t do that because you have only been verbally abused, I was advised I’d better have a diary of what I was told and what I experienced. Even then, it’s still your word versus your tormentors. And that means it will come down to whom a jury believes. So I never sued like Ellen Pao sued. And she went with her best shot against KP’s female attorney, who gave the company the look of being gender champions. Interestingly enough, the minorities on the jury were the ones most sympathetic to Pao, which made me wonder why Pao didn’t go with race. Because she lost with what she had. It made me think that in this world where people are talking about body cams as evidence for police confrontations, is it too far-fetched to talk about body cams in abusive employment situations? In full view, of course, so people will know their racist actions toward you will be documented. That could force people into “good behavior” mode. Or find a more stealth way to get at you. Or just poison things altogether. Still, cameras could go a long way toward at least letting people see what their unconscious bias, or their unintended racism, really looks like. 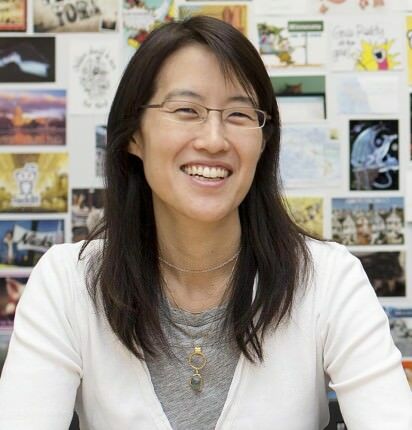 If only Ellen Pao had a camera on her male abusers, maybe she’d be in a little different situation. Too bad Pao was a mere Kleiner Perkins partner and not a lowly Uber driver with some tech savvy passenger. Let me preface this by saying, I am not an Uber fan for what it’s done to skirt labor and safety issues here and abroad. In fact, I’d probably be yelling at the Uber driver myself, but not over traffic violations. But if Uber contributes one thing to the good of humankind, it’s in capturing the kind of verbal abuse meted out by an NYC police officer this week. The cop turns out to be Patrick Cherry, a detective assigned to the FBI’s Joint Terrorism Task Force. Perhaps that explains his lack of love for people of color. What’s more, the officer had top-secret security clearance. And because of the video, he’s been reassigned, faces loss of his top-secret clearance, and even suspension. He was supposed to be a good guy. Frankly, I saw the tape and it reminded me of every bad bullying boss I ever had. And as a person of color in White America, I have had a lot of them. From the very first words on the tape, the “You understand me,…” and then the swearing, it struck a chord. It brought me back to some of my early jobs in broadcasting when I was the only Asian American or Filipino or minority employee. I had people yelling and cursing at me, and it had nothing to do with a minor traffic violation. Just some minor work disagreement. And then, when it was all settled, one manager actually tried to soften things up by trying to be a buddy. That was told to me in a big city newsroom when I was 24. It pained me, and I was so glad that the passenger, Sanjay Seth, who was sitting in the back, had the video rolling. People need to see what abuse looks like. I especially could relate to the sequence at around 1:55. The officer, I’m sure, thought he was doing the public some good by getting as upset as he did. He was protecting us from a traffic violator! But in doing so, he showed us the hate that exists in him, presumably when he sees a person of color from another country. But let’s say it was just an eruption because the cop was appalled by the sense of injustice committed by the Uber driver to the traffic code. If people saw what real hate looked like, then maybe they’d know better than to let it come out of them so unconsciously. What it took was an Uber passenger with a phone, who acted as a good citizen and knew how to document what he saw. Incidentally, this is the exact kind of situation the new streaming apps like Periscope or Meerkat would be great for. I’ve been on those sites, and people are obsessed with sunsets, their pets, or their fridges. But here we have what could be those apps’ highest and best calling in our democracy. Nothing like live streaming racism to make your blood boil.